아라비아에서 미사하시는 교황님The Pope Franciscus, Pater, Magister, et Pastor in Arabia, United Arab Emirates, ! 천주님께서도 깜짝 놀라신 이슬람의 본산지 아랍 아부다비에서의 교황님 미사 봉헌!!! 17만명 군중 참석 ! Pater, Magister, Delegatus Christi, Successor St. Petri Apostoli, et Pastor noster Pontifex Maximus Papa Romanus Franciscus, Ave ! in nomine Domini ! - Msgr. Peter Byon from Corea. 교황 프란치스코 성하께서 역사적인 아라비아 이슬람 지역 아부다비를 방문하시고, 천주교 미사를 봉헌하였습니다. 아부다비 체육관 내외를 가득 메우고, 체육관 외부에까지 모두 약 17만명 내외의 군중이 모여 함께 미사를 봉헌하였습니다. 우리 주님의 양떼들을 인도하시는 목자 (Pastor noster ovium Domini)이십니다. At his General Audience on Wednesday, Pope Francis reflects on his Apostolic Journey to the United Arab Emirates. During the press conference on the return flight from the United Arab Emirates, Pope Francis says the historic Document on Human Fraternity was born of “was made in the spirit of Vatican II”. On the flight back from the United Arab Emirates, Pope Francis said that the Document on Human Fraternity is a step forward — a step that, for Catholics, is rooted in the Second Vatican Council. 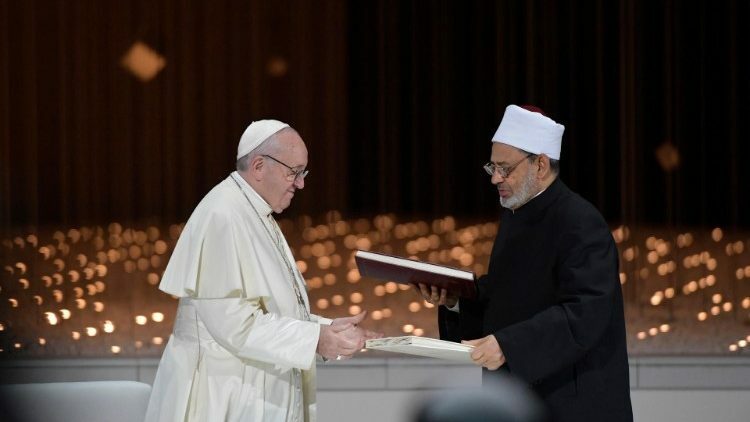 The Holy Father said that from the Catholic point of view, the Document on Human Fraternity “does not go one millimetre beyond the Second Vatican Council… the document was made in the spirit of Vatican II.” Among Muslims, he said, there are various opinions, but them, too, it is a process. Pope Francis also answered a question about a letter sent by Nicolás Maduro, the president of Venezuela, seeking to restart a dialogue with opposing factions in his country. “I haven’t read [the letter] yet”, he said, but added, “we’ll see what can be done.” The Pope noted that he was “always willing” to help dialogue, but that both parties must request it. 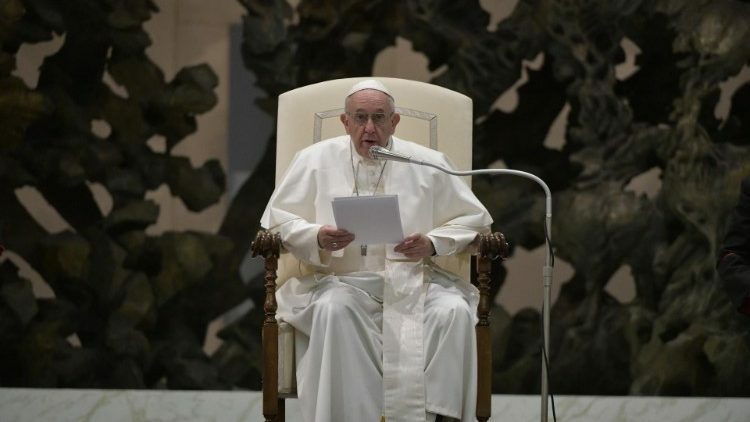 Finally, Pope Francis was asked about the abuse of women religious — an issue that has garnered more attention as the overall crisis of abuse in the Church has been brought to light. He acknowledged that priests, and even Bishops, have sometimes been guilty of abuse in the past; and he said, “I believe it’s still happening: It doesn’t end just because it is recognised.” He noted that the Church has made progress in addressing some cases, but acknowledged that more must be done. The Holy Father said that with prayer, the Church can move forward in its response to abuse. “I want to go forward”, he said, emphasising that there are ongoing cases that are being addressed.